It was a case of mesmerising delivery when the Head of the Department of Academic Affairs (DAA) at the College of Technology Education, Kumasi (COLTEK), Mr. Charles Baba Campion took stage to present a paper on “Constraints Militating Against Organisational Communication In A Multi-Campus University” to the 8th International Communication, Education, Language and Social Sciences Conference 2017 (KLiCELS8), recently in Kuala Lumpur, Malaysia. The 20-minute spellbinding presentation attracted a spontaneous standing ovation from the scores of academics, researchers and administrators who traveled from various continents to participate in the two-day conference. 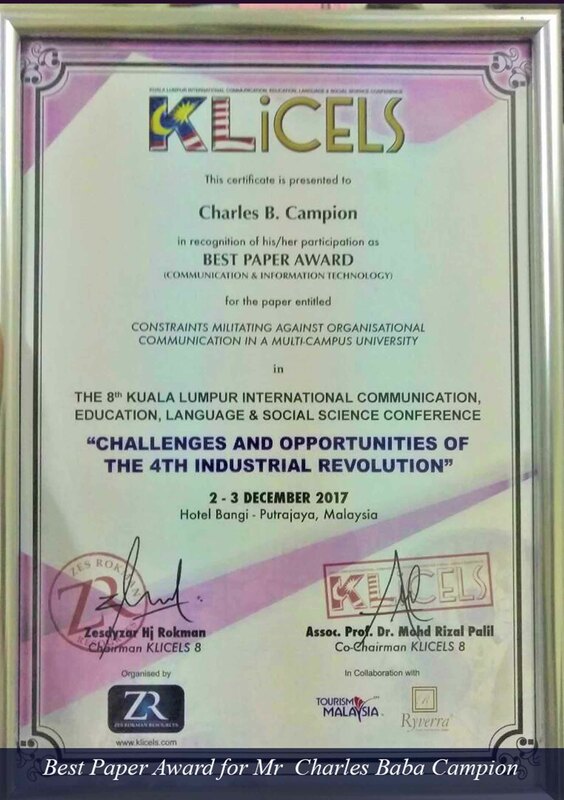 It therefore came as no surprise when in the course of the closing session; Mr. Campion’s paper was adjudged the overall best at the conference and accordingly presented with a framed certificate and some souvenirs for his exemplary efforts. 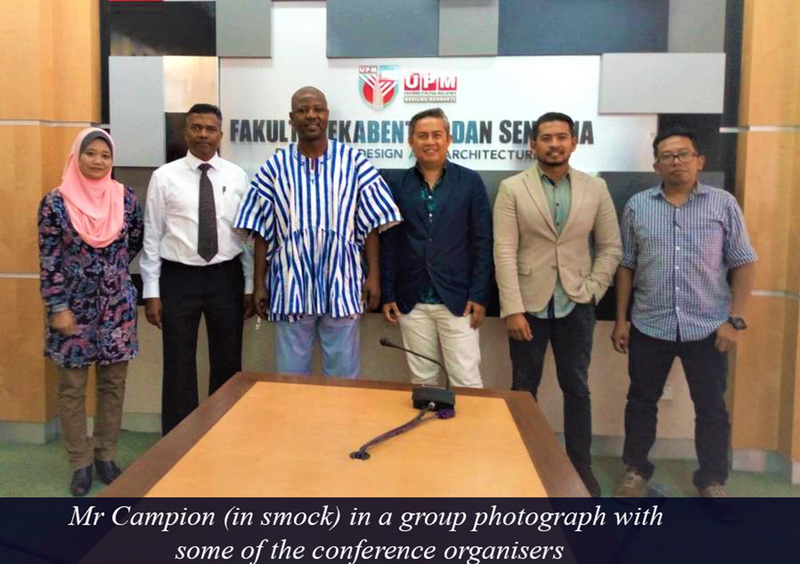 The award winning paper focused on the University of Education, Winneba (UEW) and revealed a good perception of communication in that University. It however, pointed to widespread bureaucracy and red-taping that had fraught communication in the university with challenges he classified into human, systems, administrative and structural. Subsequently, the paper makes appropriate recommendations to adequately address the challenges identified if UEW management were to implement them. Among them was the need to motivate staff to put-up their best, avoid misinterpretation and misunderstanding, ensure speed in information flow and feedback and adopt more than one means of communication to reach recipients. 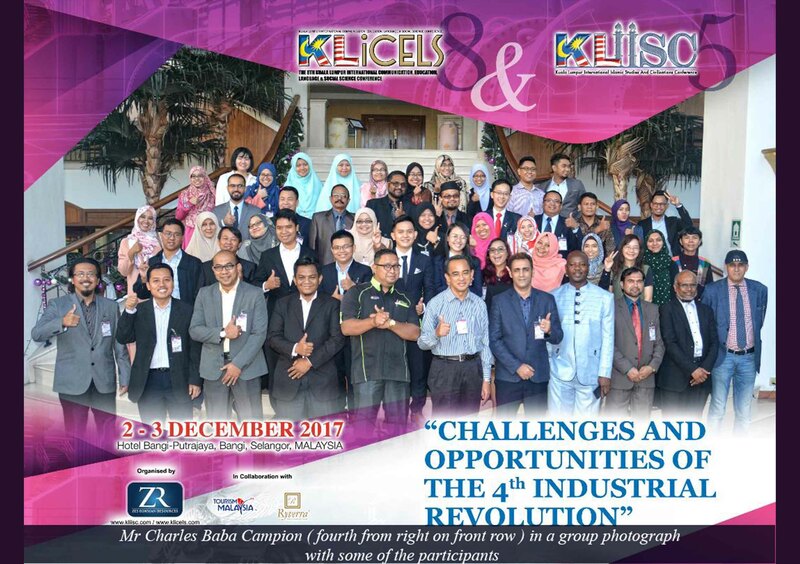 The annual conference came off on December 2-3, 2017 at Kuala Lumpur and had the theme “Challenges and opportunities of the 4th industrial revolution”.